A small vial of peppermint oil. Peppermint oil is used extensively in the food industry to flavor chewing gum, confectionery and other products. According to the National Center for Complementary and Alternative Medicine, peppermint oil is also useful to treat a number of conditions, including muscle pain, cold symptoms, headaches and indigestion. Since there is no firm evidence that peppermint oil works for weight loss, always talk to a health practitioner before using it. Certain scents, including peppermint oil, can help control appetite and cravings. A 2008 study conducted by the Wheeling Jesuit University evaluated the level of hunger of participants after inhaling peppermint oil every 2 hours for five days. Participants who inhaled the peppermint oil experienced less hunger and fewer cravings than those who didn’t use the oil. Peppermint oil is a good pick-me up. It can help raise energy levels and clear your head, so you’re most alert and feeling more invigorated. If you’re trying to lose weight, having more energy could help you exercise harder or for longer. You can dab a drop or two on your wrists and smell it a few times throughout your workout or just before you jump on the treadmill. The participants in the 2008 study not only experienced less hunger, but also fewer cravings. As a result, they consumed fewer calories coming from fat and sugar. This is because when you experience cravings, you usually crave carbohydrates, especially in the form of sweets, white flour and highly-processed grains --these convert to sugar quickly after you eat them, which is what your body is craving. Since peppermint oil controlled the cravings, participants ended up eating fewer overall calories. 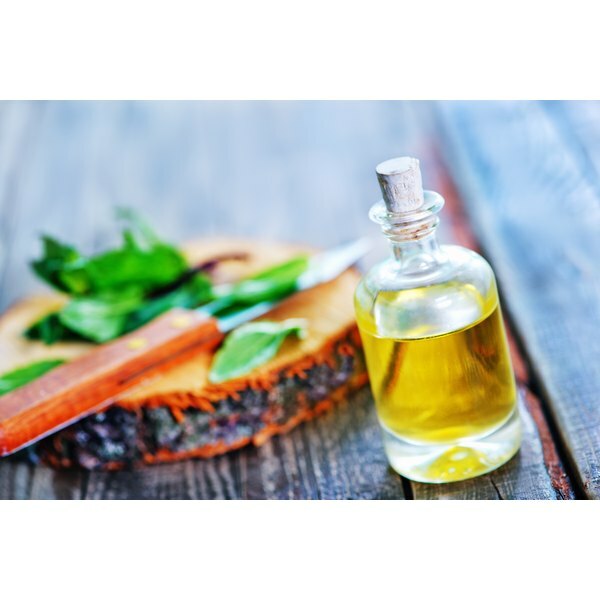 Peppermint oil helps your body process food better, eases indigestion and revs up your metabolism, according to “The Complete Book of Essential Oils and Aromatherapy.” As a result, you may process food better and burn the calories you consume much faster. This can help improve your weight loss efforts, especially if you combine it with a healthy diet. How Can I Rid My Body of Water Retention Due to Excessive Salt & Sugar Intake?